When Logan was awarded his JAG commission last month, an internal timer started ticking. For those who don’t know, I’ve grown up in this area. The house I grew up in is the only one I can remember. But the travel bug bit me early, and my parents knew by the time I was a teenager that wanderlust was deep in my psyche. They joked that when it was time to apply for colleges, they had to ask me to limit my searched to American institutions. It’s funny how things work out, because I ended up going to college in my hometown. And seriously, no regrets – I’m as Carolina bred as they come. We even had a cat named Tar Heel, no kidding. 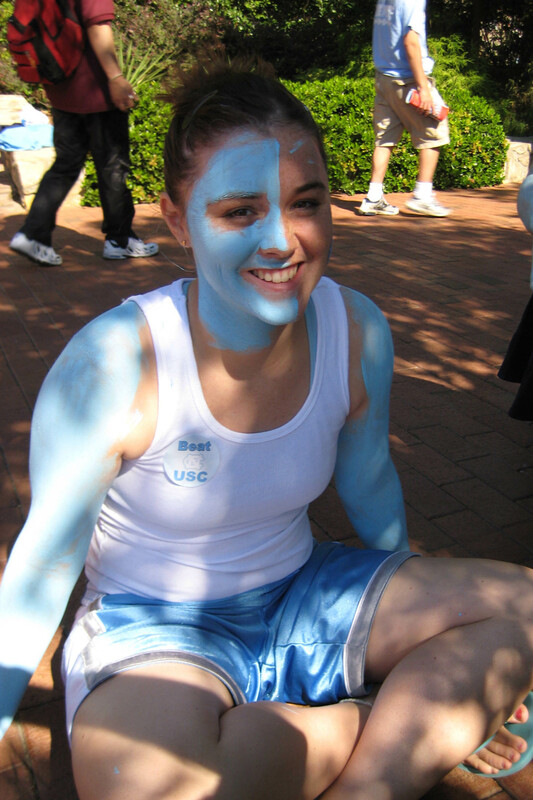 Painting up for a Carolina football game, as I did for nearly every game my freshman year. But the longing for being part of a bigger world never left. I studied abroad, spending a semester in Sydney, and it was one of the best decisions I ever made. When I was a college senior looking for jobs, my backup plan was to just move to Australia and figure out a job once I got there. Then the opportunity to come on staff with InterVarsity arose, which I joyfully jumped at. They placed me at the University of Virginia, where I got to spend a year serving students there and loved life in a new town, both for the unique character that Charlottesville has and for the opportunity to make my way in a new town. During that time I started dating my now-husband, a fellow UNC alum and law school hopeful. 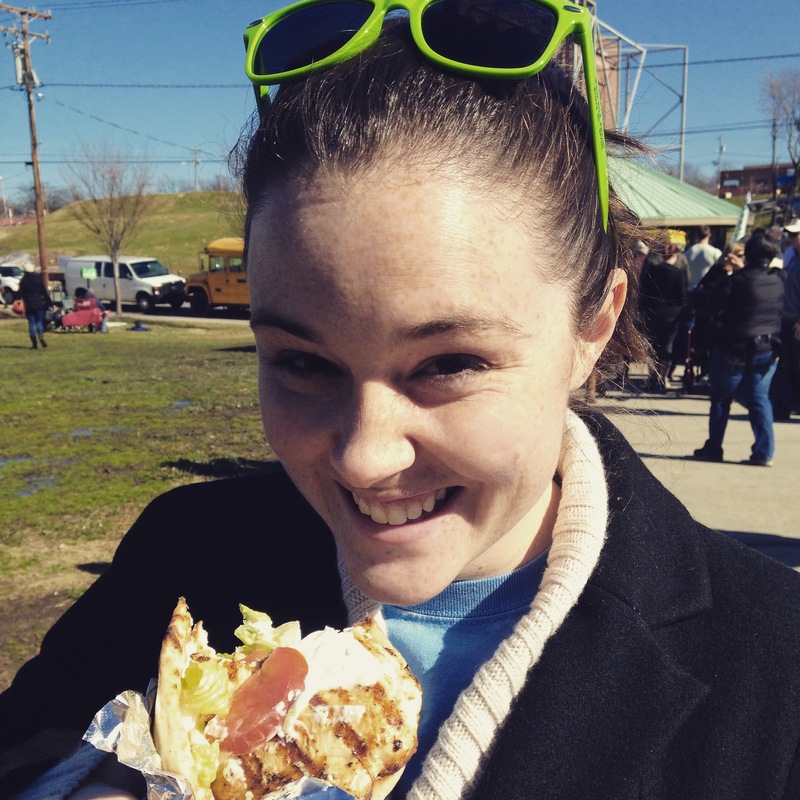 Through a combination of factors, coming on staff with InterVarsity at UNC-CH was the best fit for me and it gave Logan the best opportunities for law school and we’ve been here ever since! So in summary, my travel-loving self as lived in the same 15 mile area outside of 6 months in Australia and 9 months in Virginia. One of the things that appealed to both of us about him being a JAG officer is the potential to live abroad. That’s been a lifelong dream of mine, and it’s exciting to think that it’s finally on the table! I’m so excited to have the opportunity to live in a new part of the world! Even if we don’t move abroad, though, it means that we will be leaving this area in about a year and a half to head to a new part of the county. Realizing that my time here has a shot clock on it is bittersweet. I’m so excited to get to experience life in a new place, but I’m also sad to leave such an amazing place full of family, friends, fun, and familiarity. Eighteen months sounds like a long time, I know. But considering how long I’ve been here, it doesn’t sound like that long at all. This is an incredible area, and I feel blessed to have gotten to take advantage of growing up in the area, getting a really high-quality education here, and enjoying the perks of this area as a young adult. Plus, there are the immeasurable benefits of being close to my parents and several of my good friends. In the spirit of making the most of living in this area, I’m making a bucket list of things I want to do (or do again) in the Triangle. But Emma, it is way too soon for that. You’ve still got 18 months. That’s true, but I find that once I know there’s some kind of semi-concrete countdown, my mind switches gears. Plus, I actually find it energizing and exciting to think about taking advantage of all the things I love about this area at least once more, plus all the things I’ve never gotten around to trying! Bonus for you, I’ll blog them so you know all the good spots in the Triangle! Call it travel writing by a local, or something like that. So, Triangle people, what needs to be on my bucket list? I want to include food and drink as well as festivals, holiday events, the whole nine yards. If I start now, I’ve got time to hit it all, right?? Thanks! Yeah, I’m really excited, both to think ahead to new opportunities and to take advantage of the ones in front of me now!